With large biochemical companies like Syngenta & Seminis (both Monsanto owned) controlling the vast majority of the seed market for both commercial Farmers and the Home Gardener, we are losing the bio diversity of our seeds. We as avid home gardeners are limited to what we can buy “off the rack” at retail and need to diligently seek out alternatives to the narrow choice of seeds marketed. To be good stewards of what Nature has given us, we can help stop the loss of the precious natural genetics by saving heirloom & open-pollinated seeds. Seed to Seed : seed saving and growing techniques for vegetable gardeners by Ashworth, Suzanne. The manual of seed saving : harvesting, storing, and sowing techniques… by Heistinger, Andrea. The complete idiot’s guide to seed saving and starting by Richerson, Sheri Ann. Grow It! 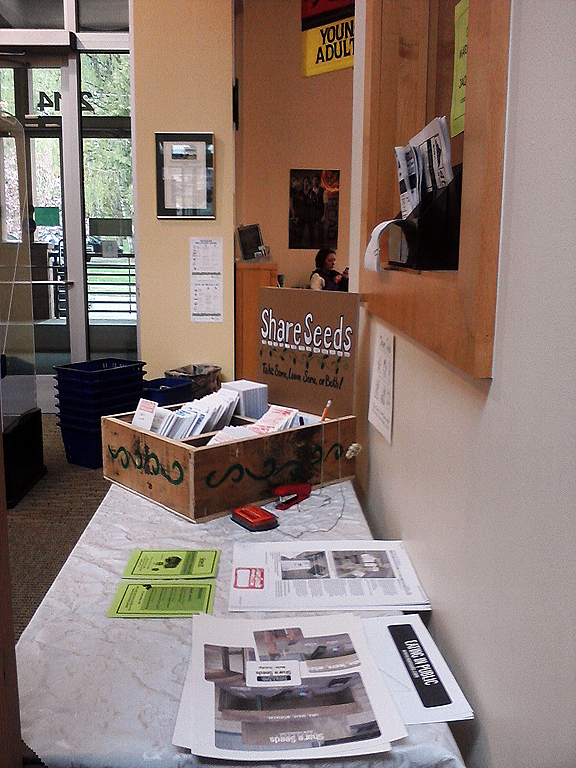 – March 15th, 2014 at the Forest Grove Library. The SHARE SEEDS station will be there! Is your favorite seed company selling a GMO? Probably not. Seed companies don’t sell genetically modified seed to the home gardener since it requires a contract for their “patented life form” Whew! But still, where can you go for pure seeds and trusted seed companies that sell them. I’m working on it! TripleSweet™ is a Syngenta registered brand! I’ve recently discovered through my own digging that I may have been supporting the “big 6” biochemical companies inadvertently. I thought that buying from companies that have taken the “Safe Seed Pledge” or sold “USDA Organic & Heirloom” seed was good enough. It is NOT! It’s come to my attention that a couple of the companies I’ve long trusted, Territorial Seed Company and Ed Hume Seeds, both claim the Safe Seed Pledge (in that they don’t sell GMO seed) and yet they continue to sell Syngenta & Seminis seeds! Imagine my horror to find that I had retail packages of the offending corporations like Monsanto & Syngenta in my own garden seed box! With that discovery I began my slog through the Ag catalogs to see if any of the seed I’d purchased was a GMO or treated with insecticides and such. Low and behold, I found some of those trademarked brands of seed listed right alongside the genetically engineered BT corn! It also allowed me to see that they make a distinction between seed for the home garden and commercial farmers. I was relieved to find that as a home gardener, I can’t get a GMO seed without signing a contract with the biochemical company since some seeds are patented life forms. 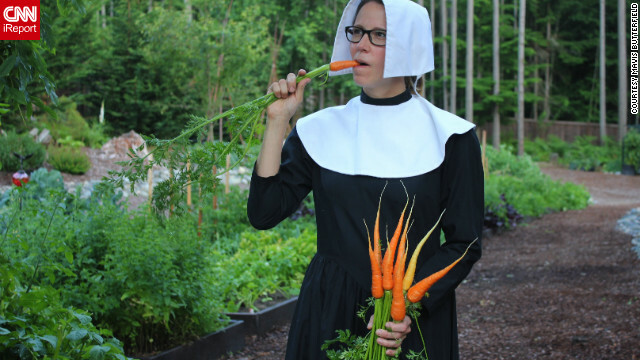 Thankfully, I’m not growing a GMO in my garden. What it did do, was make me aware of the brand names of seeds I am buying and which companies still sell Syngenta & Seminis (Monsanto) seeds! So now the hard part. How can I keep my dollars from flowing to the companies that are diametrically opposed to the values I hold dear? (namely, buying sustainable organic, open pollinated, heirloom varieties that help continue the genetic diversity of seeds I can grow in my own garden) Well, its difficult! I can’t just grab an “organic” packet off the rack anymore since those seed companies may be repackaging Syngenta & Seminis seeds under their own labels! That has resulted in them deleting my Facebook posts and gotten me banned by Ed Hume Seeds. Thankfully Territorial Seed is still responding! Since I’ve decided I don’t want to support biochemical companies in my garden if its humanly possible, I’ve started the task of finding ways to reliably confirm that the seed companies I buy from are in fact NOT sourcing their seeds from Seminis or Syngeta. That is proving to be a hard row to hoe! I’ve found a few “cultivars” databases that allow me to actually reference the brand name of the seed to verify who has developed it and where its sourced from. Here are links to two databases. They aren’t as up to date as they could be, but they are a start! I’ve also started compiling a list of companies that I have checked for Syngenta & Seminis branded seed varieties. That list is incomplete and I will post it when its reasonably accurate. On a side note, I was able to retrieve the list of seed companies from “Occupy Monsanto 360” website that disappeared last year. If you’d like that, just let me know. Lets hope that with our hard work and with help from others, we can gain knowledge and find tools to help us make educated choices in how we grow, feed and build our families! Is that seed packet harboring a GMO? Probably not, ’cause most seeds marketed for the “home gardener” are just plain hybrids. Do you want to give your hard earned dollars to companies that are infiltrating and controlling the seeds that you can grow in your garden? NO! Here’s someone that has taken the time to compile a list of seed varieties held by the big Chemical companies. ☀ Most of the vegetable varieties that are owned by these companies (primarily Seminis) are not GMO’s. A lot of them are normal vegetable garden seeds that people grow every year in their gardens. ☀ The difference between hybrid and GMO seeds. ☀ A bit about the definition of open-pollinated seeds and heirloom seeds, and how they differ from hybrid seed. ☀ Monsanto is known primarily for their work on GMO’s. What’s less known is that they own the rights to a lot of seed varieties that are non-GMO. ☀ Why you may see some varieties listed in a catalogue that sells strictly open-pollinated seeds. They’ve taken the time to post well researched lists of seed varieties so that we can weed out seeds from the big seed conglomerates. 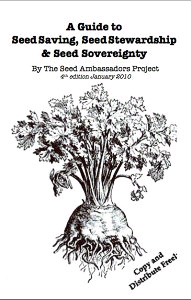 Seed Sharing – Take Some, Leave Some or Both! Tomar algo, Dejar algo o Ambos! Look for it in conjunction with OSU gardening classes. 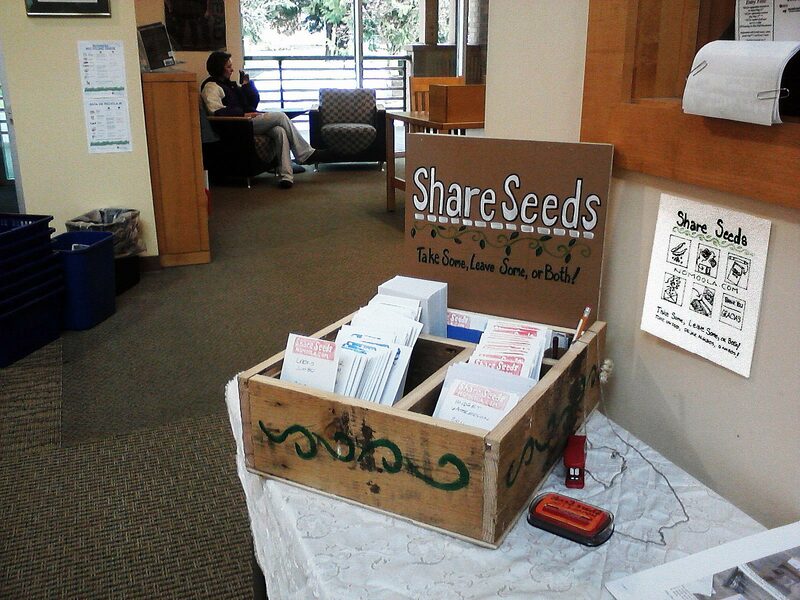 A new Seed Sharing Station is now installed at the Forest Grove Library. Its a place to share the bounty of this green earth. If you are a seed saver, a beginning gardener, or someone that wants to give back to the community, please stop by to show your support. 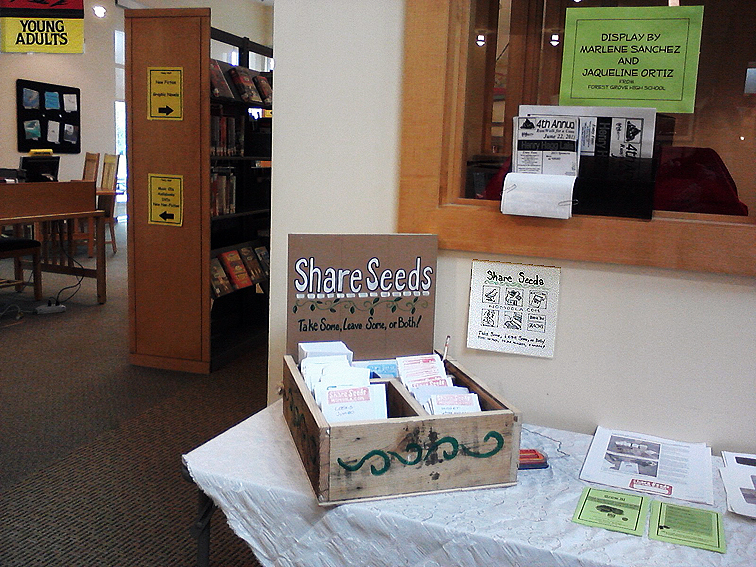 At present, the seed sharing station will be available through the end of May 2013 and in conjunction with the OSU extension service gardening classes held at the Library and with help from the F.G. Victory garden. It should reappear at the end of the 2013 season so that seed savers can help to replenish the station. Plant a row of veggies for the hungry and save your seeds! 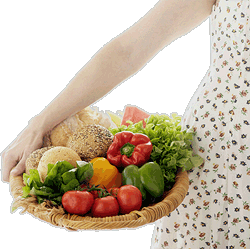 Together we can help provide for the “food insecure” in Oregon and promote self-sufficiency. Best Spring Planting Dates for Seeds & Transplants. Can you feed a family for $100 a month? This Vegetable Garden Planner makes it easy to draw out your vegetable beds, add plants and move them around to get the perfect layout. Either feet and inches or metric units are supported and any shape of garden can be created. Whether you use traditional row planting, raised beds or Square Foot Gardening the Vegetable Garden Planner adapts to suit your gardening style.